This month we feature several previously abandoned buildings turned highly sought after event spaces, not to mention a craft beer hotel, massive rooftopia… and even a way to travel from London to New York in three and a half hours. Still want more? Just wait until you see the latest tech about to revolutionise the immersive world. If this doesn’t impress you, nothing will. In the 1960’s this long abandoned building was once a concrete construction hall, nowadays it plays host to contemporary art and architecture projects. 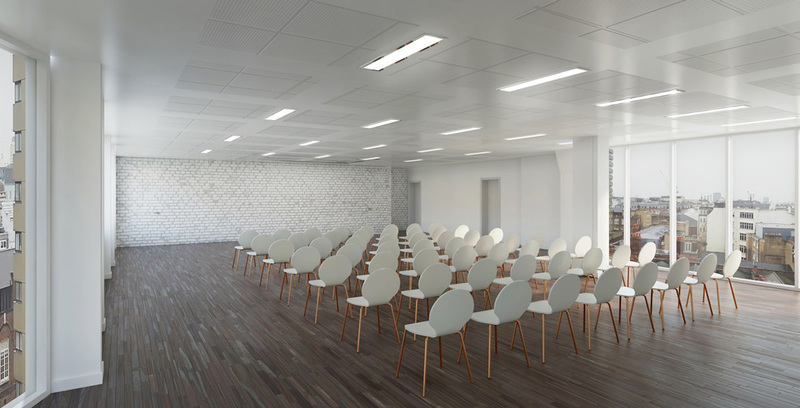 Hidden in an underground hanger within the University of Westminster, Ambika P3 is a 14,000 sqft triple height space with a capacity of up to 650 for a standing reception, available for private hire. 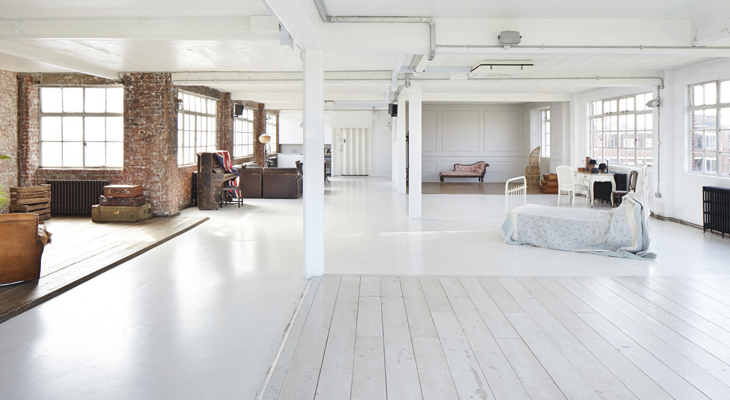 With its unique exhibition size in the crowded West End of London, this space has a stripped-back industrial look to it, with concrete flooring, steel beams and many of its original features still intact. 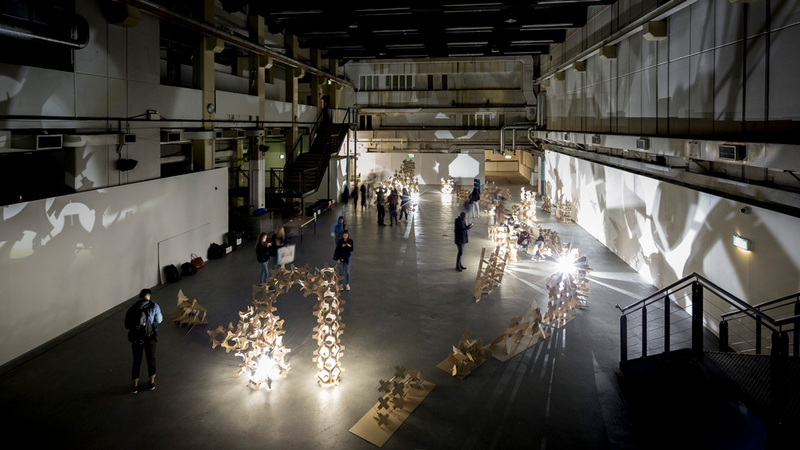 Now a distinctive setting dedicated to experimentation of all kinds, Ambika P3 is an extremely versatile meeting space, operating as a laboratory with a vast swathe of exhibitions, education projects, talks and events. 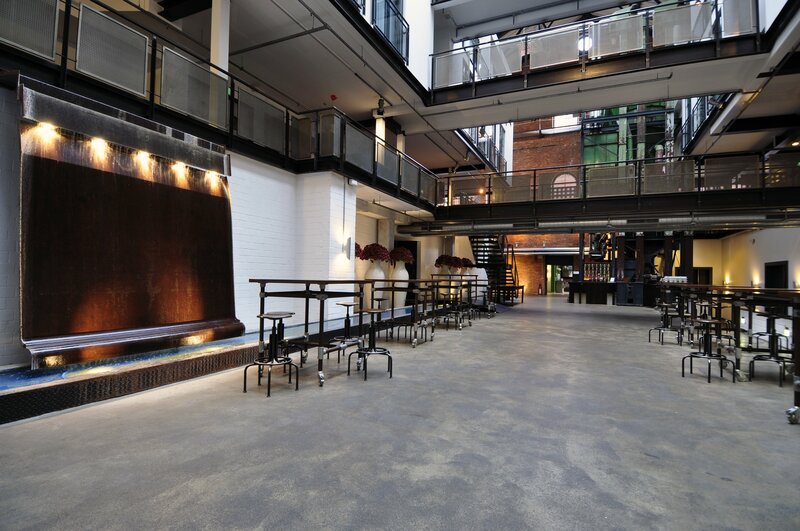 After its refurbishment in 2007, Ambika P3 has played host to a number of high profile events, from the launch of Architecture Week, to a Calvin Klein fashion show. Who says you can’t teach an old dog new tricks. 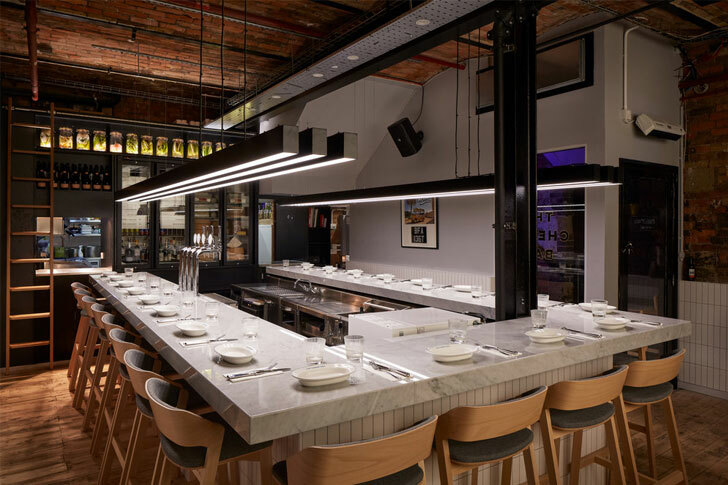 Hearst Magazines UK, the publisher of Good Housekeeping, Men’s Health, Cosmopolitan, Harper’s Bazaar and ELLE, has unveiled 6th @ Soho – a new dedicated events venue. The venue has an airy chic feel to it, with plenty of space to work with and floor to ceiling windows offering enviable views across London. Located in the heart of Soho within the offices of Hearst Magazines UK, the design-led space is available for private hire, holding 200 for a standing reception, 150 theatre style or 60 cabaret style. jj Wimbourne is a five-storey period building with a bold street-font presence. With all those floors of studio space, a recently re-furbished reception with marble tiling, and an open air roof terrace – this stylish venue is one to look out for in 2017. The venue is split into five different self-contained spaces, including SOHO, PARK, VIEW, ROME AND ROOF. Offering contemporary loft style event spaces with elegantly distressed areas, exposed brick walls, concrete floors and natural lighting. There are original features throughout, including antique iron radiators and exposed copper pipes to give this venue bundles of character. 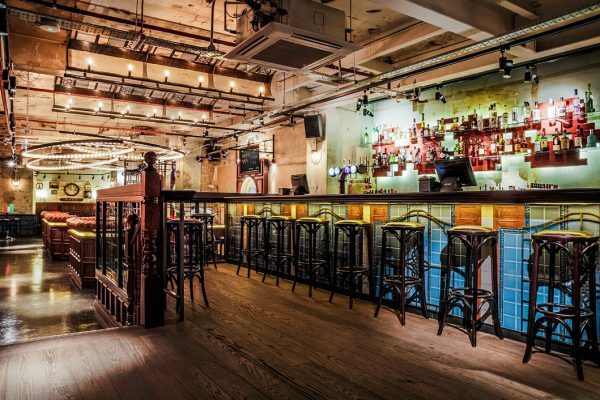 Located in Shoreditch with easy access to both Old Street and Liverpool Street stations, this fashionable venue comes with its own private entrance and ample parking. Charismatic. Stylish. Contemporary. If you happen to be in Hamburg check out the The Gastwerk Hotel, a member of the Design Hotels group, a selection of handpicked design-driven luxury hotels located all across the globe. If the glass ceiling of the air-conditioned conservatory wasn’t enough to tempt you, flooding the space with light during the day and twinkling stars overhead by night, then perhaps the historic architecture will. The former 19th century gas plant once brought light to the streets of Hamburg, but has now been beautifully refurbished around its historical brickwork and steel, currently standing as a truly impressive boutique hotel and events venue. Playing host to 141 bedrooms, 10 meeting spaces and tonnes of exposed red brickwork, this is a hotel you won’t want to miss. 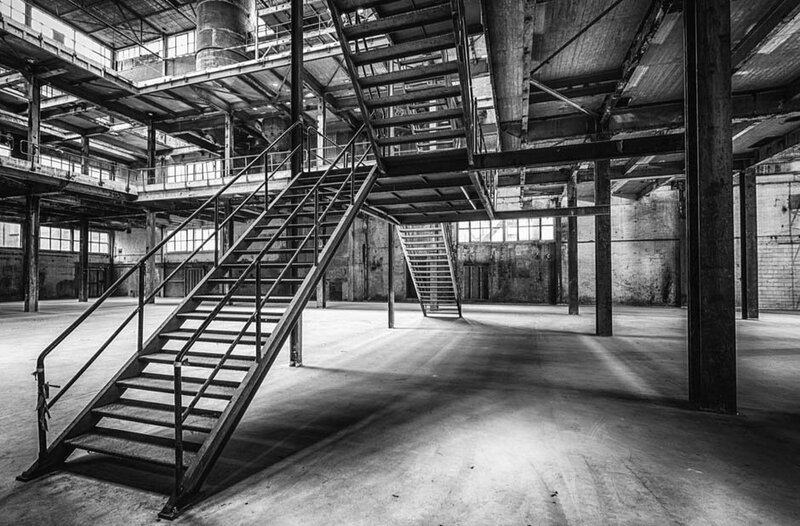 Described as “undiscovered, rugged, innovative and unexpected” – former sugar factory turned event venue, SugarCity holds 21,000 m2 of event space and is located just outside the city centre of Amsterdam, 15 minutes from Schipol Airport. The venue still exudes a very raw, industrial feel with its exquisite decor featuring wrought iron columns, concrete pillars and metal infrastructure. With three spaces available to hire, holding 1,000 – 1,800 guests, this venue is ideal for larger events and apparently still hasn’t reached its full potential. Watch this space. 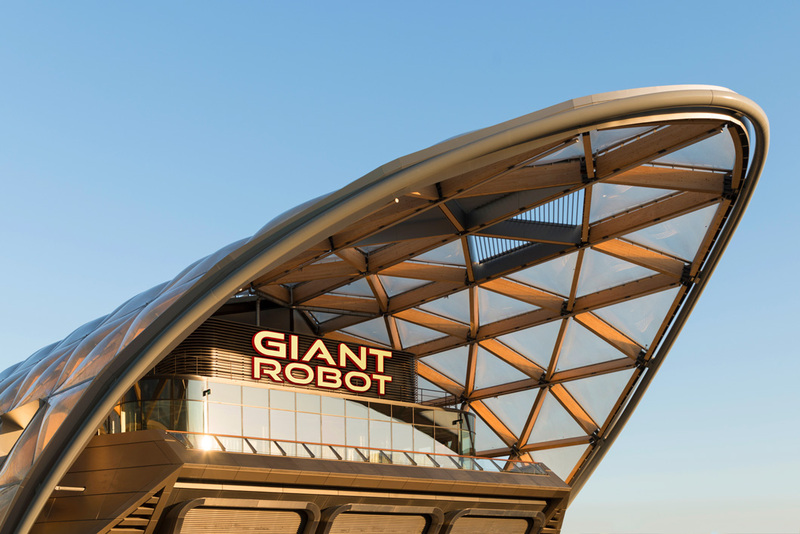 Get on the Jubilee Line or the DLR and meander down to the East End of Crossrail Place, and you will find that a robot behemoth has set up shop in Canary Wharf – well, almost. The guys behind Street Feast have just opened their latest venture, you guessed it; Giant Robot. 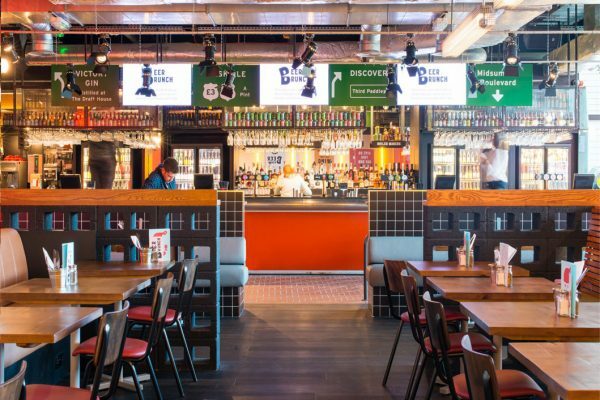 A huge eating and drinking rooftopia, open seven days a week and home to some of Street Feast’s most mouth-watering street food vendors, including Yum Buns and Bobs Lobster, as well as a José Pizarrio’s new tapas and sherry bar, Little José. If that wasn’t tantalising enough, the new venue features a wrap-around outdoor terrace that offers panoramic views of the Thames, Isle of Dogs and its surroundings, as well as a 360° central Island Bar for cocktails and craft beers! Another formerly abandoned building has also had a serious facelift; The Trampery is now back in the game after being completely transformed into a modern hive of innovation for creatives and entrepreneurs alike, right in the heart of London’s technology cluster – Old Street. 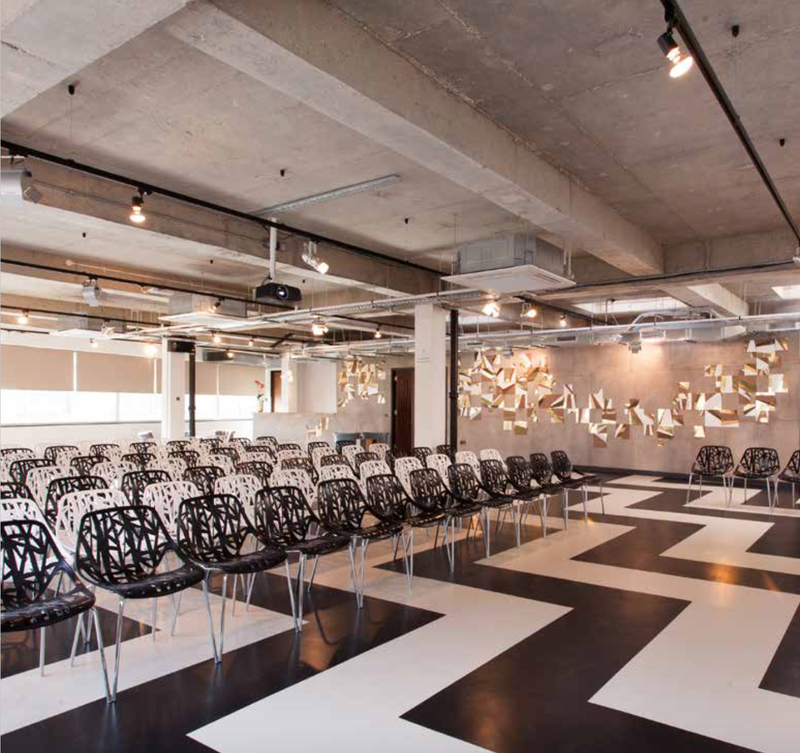 With five meeting spaces available for private hire, you can expect a unique, industrial design with modern features and an eclectic mix of abstract and vintage furniture also. The Ballroom – the venue’s largest space with a standing capacity of 200 – lends itself well to conferences, networking sessions and experiential activations. With its distinctive black and white flooring, heavily vented ceiling and 12-metre long art installation by acclaimed London designers, Bad Marriage, this space is a juxtaposition of practicality and style. The main space even has a custom acoustic treatment making it ideal for conferences. Long gone are the days of drab presentation spaces. The Draft House is a small group of weird and wonderful public houses that offer a tasteful selection of cool and quirky London beers. The group has a total of 10 pubs and event spaces that can be used for private functions. The venues feature all kinds of fun quirks like The Tank Room in Chancery Lane, which has its very own ‘Altar of Tank’ where you can pour your own Pilsner from an 880-pint copper tank! And let’s not forget the underground cave bar in Tower Bridge, known as Bump Caves, where you can learn how to distil your own gin. A potentially dangerous new undertaking if you get too carried away with it. 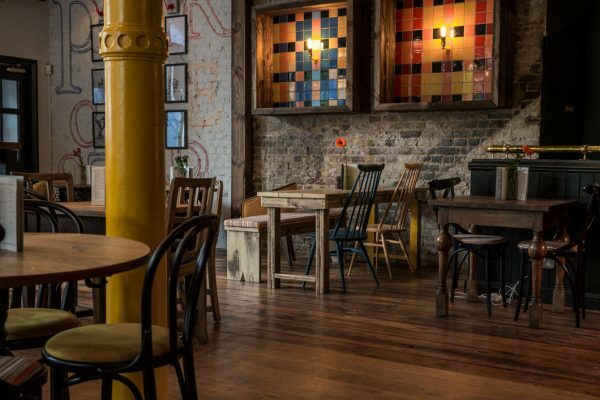 The Draft House venues don’t stop there, there are also pubs in Hammersmith, Westbridge, Old Street, Seething, Northcote and Milton Keynes; all with the underlying theme of celebrating their incredible diversity and range of brews! The first rule of Flight Club is… You do talk about Flight Club. 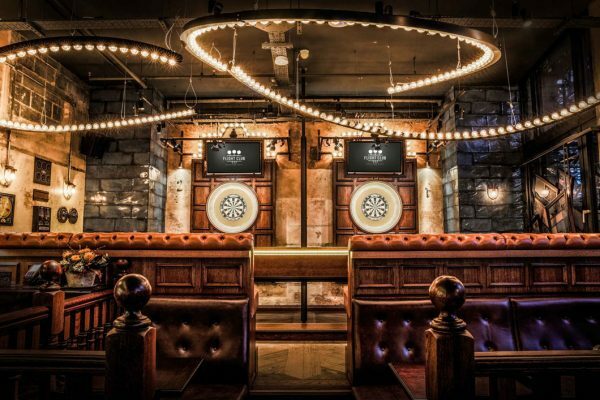 The quirky darts bar smashed it with their first venue in Shoreditch, so have since decided to open up a second in Bloomsbury. 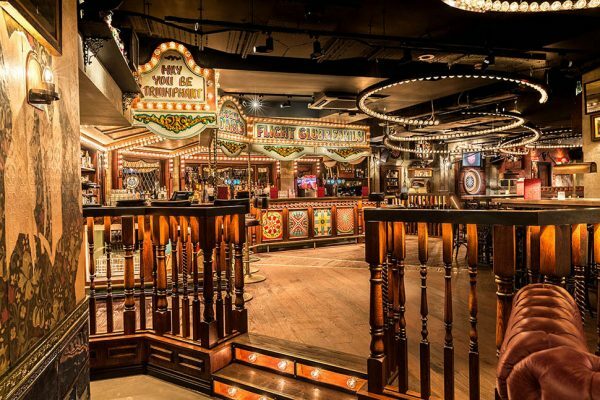 The venue features a loud and proud fairground theme with an extravagant carousel bar as its centrepiece. 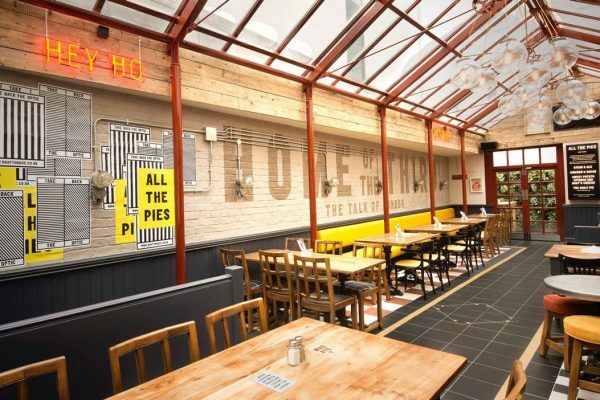 As with the Shoreditch venue, competitive darts is its thing, however this new location will hold the occasional ballet performance, along with the usual craft beer, pizza and cocktails! 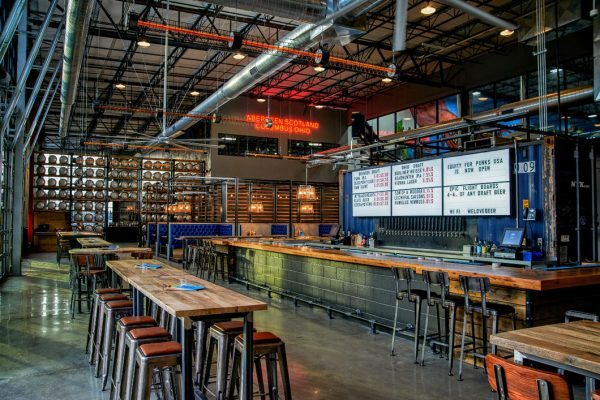 BrewDog has taken the craft beer world by storm! 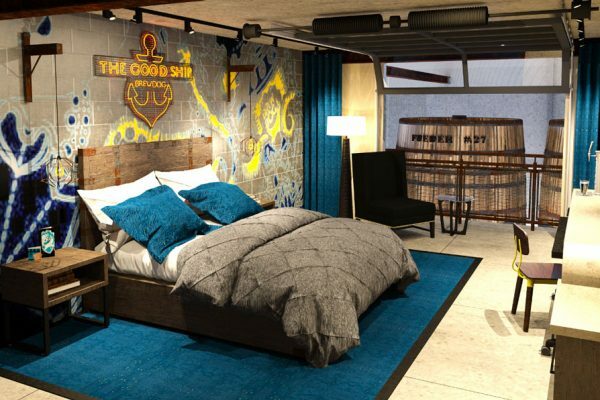 The Scottish brewer has recently gone ‘ale’ out and partnered with international crowdfunding company Indiegogo, in creating a campaign to build the world’s first ever craft beer hotel. The hotel will sit alongside the brand new sour beer facility in Columbus, Ohio. 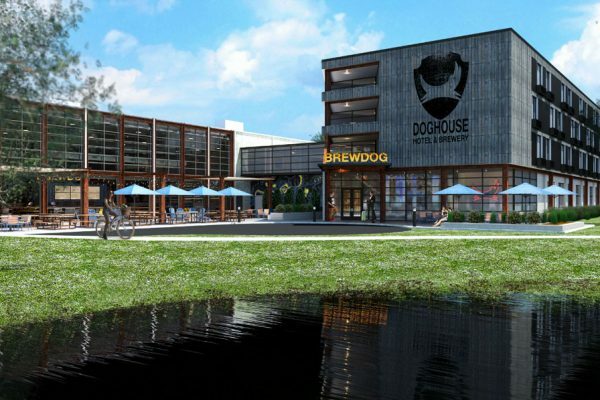 The Doghouse will be fully crowdfunded and aims to provide a complete experiential environment to truly immerse yourself in the world of craft beer. Just some of the ‘crafty’ benefits the hotel will be providing include; Punk IPA on tap in your room, beer spa treatments with bespoke hop oils and… wait for it… en-suite shower beer fridges! You may well have read about their recent attempts to build a BrewDog hotel nearer to home at their Ellon brewery in Aberdeenshire. The good news is that they are apparently still hopeful of achieving this. We can definitely hop on-board with that idea here at Clive. Absolutely pun-derful. If you watch one video today, make it this one. Designed by Japanese media artist Nobumichi Asai, this breathtaking new facial projection mapping works using real-time facial tracking app “connected colours” to create electric make-up in the form of various colours intermingling and harmonising with one another. Ideal for an experiential photo activation, the face-mapped video projections and shape-shifting holograms could transform how consumers sample make-up products, giving brands the ability to project any look or style onto consumers faces. What a time to be alive. Tired of tracking people with clickers and barcode scanners? 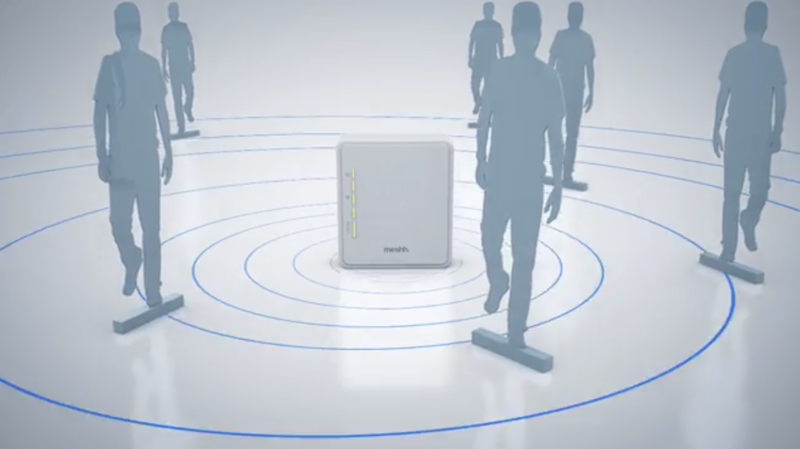 Mesh Analytics is a proximity analytics solution which produces smart statistics on the number of people moving around the space, how long they spend in each area and how frequently they return. Perfect for activations, exhibitions, launches and experiential events, this handy piece of tech picks up the wi-fi signal sent out by mobile devices within a 30-metre radius, it will then calculate how close the device is to the sensor in real-time. This revolutionary piece of tech has the ability to completely transform how event traffic is analysed. The technology was first rolled out last year with Nike at its flagship store in London. The leading sports brand wanted to understand the typical journey of its consumer, with a focus on how long they spent in-store and how effective the brand was at turning passing traffic into engaged visitors. Big brother is watching. Installed in the Daimaru stores in Tokyo and Kyoto, this flower power mirror stands at 10 feet high and contains a colourful array of 3,000 flowers to celebrate Daimaru’s 300th birthday. This interactive installation works by operating 800 movable motors that push out darker-coloured flowers over the top layer of the lighter flowers. Whenever someone approaches the flower mirror, sensors detect their silhouette which triggers the darker flowers to react by imitating the shape of their silhouette. The flower mirror can also work with pre-made graphics, from brand logos and icons to more complicated designs. 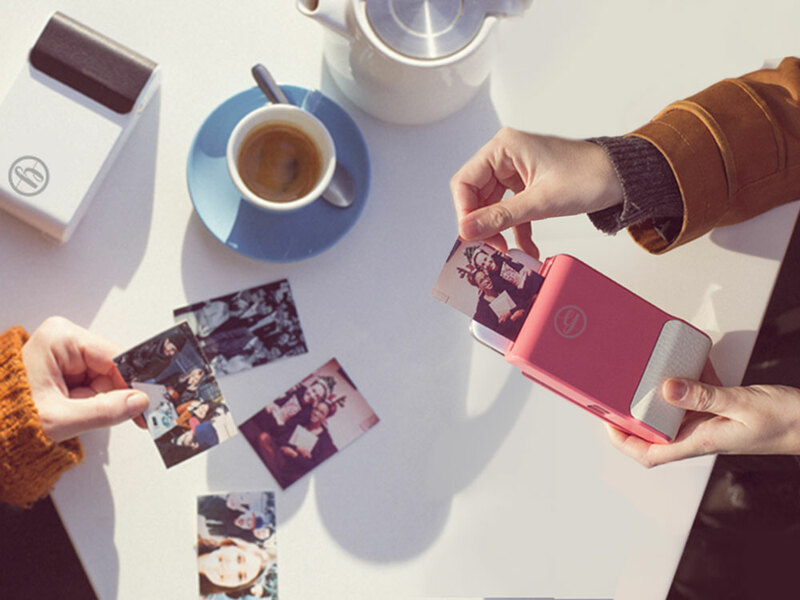 Polaroid 4.0 meets Harry Potter – the first instant photo case for iPhone and Android is here, and it does more than you think. Just plug in your phone, snap a picture and get a printed photo within seconds… Then watch your photos come to life through AR! This handy little device lets you record a video and then attach that video to an actual physical photograph. Make your photo come to life by simply looking at it through your phone in the Prynt app, and you’ll see the video play over the picture. Described as “QR code meets – Harry Potter newspaper”, it’s currently the closest you can get to actually printing a Snapchat. You’re a wizard, Harry. Jeep has launched an AR experience at its dealerships, enabling consumers to walk around and look inside the all new Jeep Compass before it is physically available in the showroom. The Jeep Compass Visualiser is an application that recreates the virtual car before the eyes of the customers in its real dimensions, allowing them to discover the new model and interact with it before its physical arrival in the dealer’s showroom. Good luck test driving it though. If we told you that you could fly from London to New York in three and a half hours, you would probably say “go home Clive, you’re drunk”. Not this time folks! 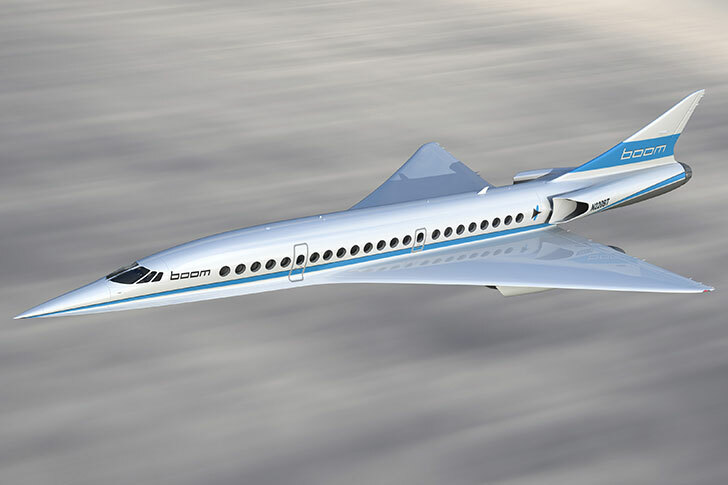 The super speedy supersonic plane, nicknamed The Baby Boom, will be able to hold 45 passengers and fly from London to New York in only three and a half hours. You will now be able to have a lunchtime business meeting in America and be back in time to feed the kids. Not only that, but it will cost the same as a standard business class flight! What devil magic is this I hear you ask… Well, it’s quite simple really – all it took was a breakthrough in aerodynamic design, state-of-the-art engine technology and advanced composite materials to make the Boom the most efficient and affordable form of air travel to date. The first flight is set to take place next year, with the first passenger flights set to take off early in 2020. The future is here. Almost. Roof East, the car park rooftop summer spot in Stratford, re-opened at the beginning of the month for it’s fourth year. 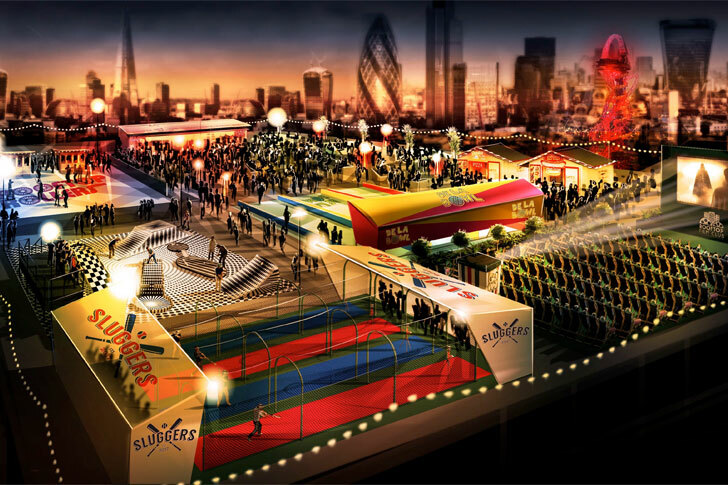 There will be a handful of nostalgia-inducing summer activities taking place, including London’s only baseball batting cage experience; Sluggers, a hip-hop inspired pétanque from De La Bowl, and best of all, London’s first ever rooftop roller disco! Get your skates on and get down to 80’s music, gliding around on a rooftop surrounded by beautiful views across London. There will also be the award winning Spirited Mixers team, serving up a collection of all kinds of cocktails, a plethora of street food vendors to pick from, as well as rooftop yoga, urban farming and Rooftop Film Club! What more could you want from a sunny summers evening. The Cheese Truck has been roaming the British streets, serving up heavenly cheesy morsels since 2013 and now a Cheese Bar has opened up to share its gift with the world in a more established setting. That’s right, a restaurant devoted to cheese! 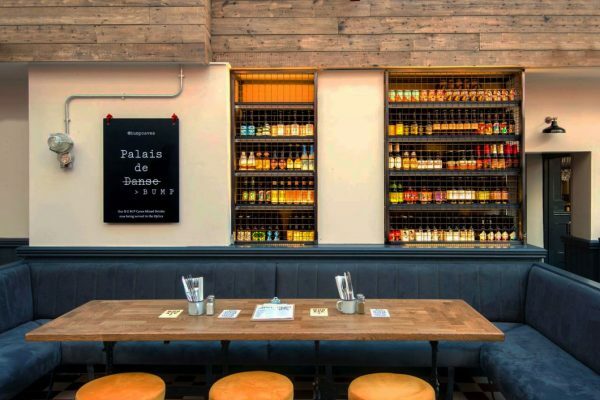 The bar opened up in Camden Town in March this year, and has since continued to sell all kinds of cheese based classics that were formerly sold by The Cheese Truck. The menu includes a wide array of delectables: from traditional cheese toasties and sandwiches, to macaroni, fondue and even a chocolate ice-cream sundae made with honey and ewe’s milk cheese! If that hasn’t tickled your fancy… they also offer a selection of delicious craft beers to wash all of that creamy goodness down with. The good news is that you won’t have to spend your time chasing a truck all over London. The bad news is the lack of exercise will mean all that gorging on cheese will probably take its toll on your waistline. It’s no secret that cactai and succulents are all the rage at the moment. Though to be fair, do they ever go out of favour? Either way, at Clive, we’ve stumbled across cactus cupcakes! 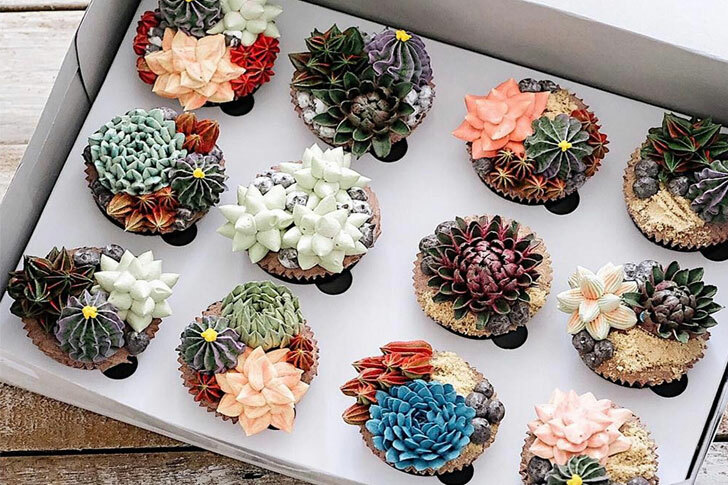 Iven Kawi, the artist behind these masterpieces, sculpts buttercream frosting into all kind of beautiful cactai and flowers. Have a look and see for yourself, those prickly little chaps have never looked more appetising. 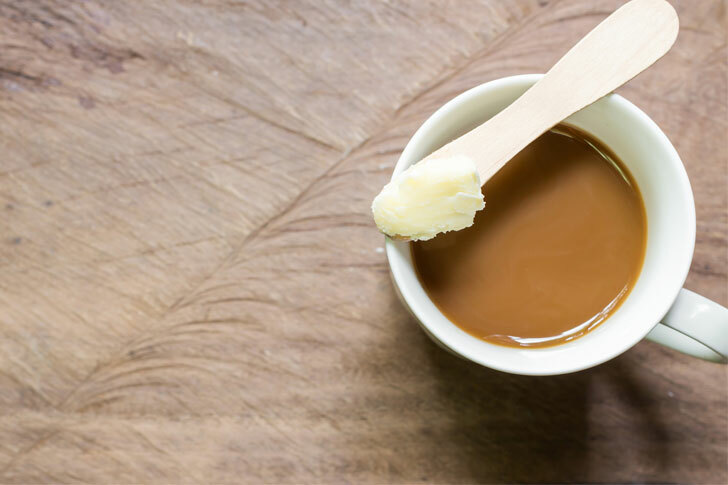 People have actually started drinking this oily coffee concoction, because apparently it gives you lasting energy with no crash, accelerated calorie burning and a mental boost. You’re probably reading this with a slight squint in your eye and scepticism charging through you, but supposedly the caffeine combines with the fats and slowly releases its effects into the body over a long period of time. Clive’s top tip: Coconut Oil for its healthy fats. Why not give it a go, it may just make your life a little bit ‘butter’!